The Applied Unificationism (AU) Blog launched a year ago on May 1, 2013. Its hosts, Unification Theological Seminary and Barrytown College, as schools for people seeking to understand how to bridge faith and reality, aimed to create a site where worthy ideas applying Unificationism to all aspects of society can be discussed among members and friends of the FFWPU and related organizations. In a time of transition since the passing of our Founder, we have also sought to make it a place where the future of the Family Federation and its work may be thoughtfully discussed. Since then, the AU Blog has received 48,000 hits from over 150 countries with more than 200 email followers, published over 75 articles and posted 400 comments. Our material is regularly linked to from Facebook (where we get the majority of our referrals), email listservs, the UTS Alumni site, and occasionally the FFWPU-USA opinion page. We began a Twitter account last year (@UTS_AU_Blog) and will create a Facebook page soon. At the end of last year, we unveiled a new site design that has been very well-received, and from January have published a number of articles that generated a large number of site hits, in one case almost 1,000 in a day. Article contributors have expanded from largely UTS faculty to a broad and international range of writers, which continues to grow each month. In April, we began a new feature: film and book reviews, and especially encourage reviews from second generation Unificationists. As always, we welcome new op-ed/commentary submissions of 1,000-1,500 words. And if you haven’t already, please “Follow” the AU Blog by signing up on the home page to receive an email each time we post something new. If you like what the AU Blog is trying to achieve, please consider sending a monthly (or even one-time) donation to UTS/Applied Unification Blog. This will specify the use of your donation for this Blog. 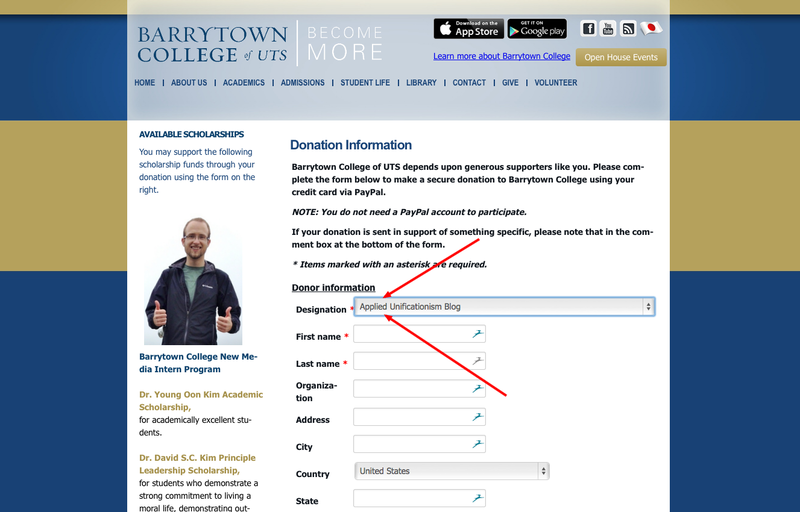 Use the Donation Page on the Barrytown College website and select the “Applied Unificationism Blog” on the pulldown menu. 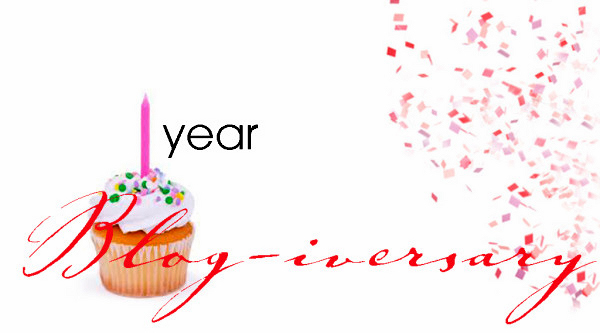 We look forward to your continuing engagement with the AU Blog in its second year of operation.